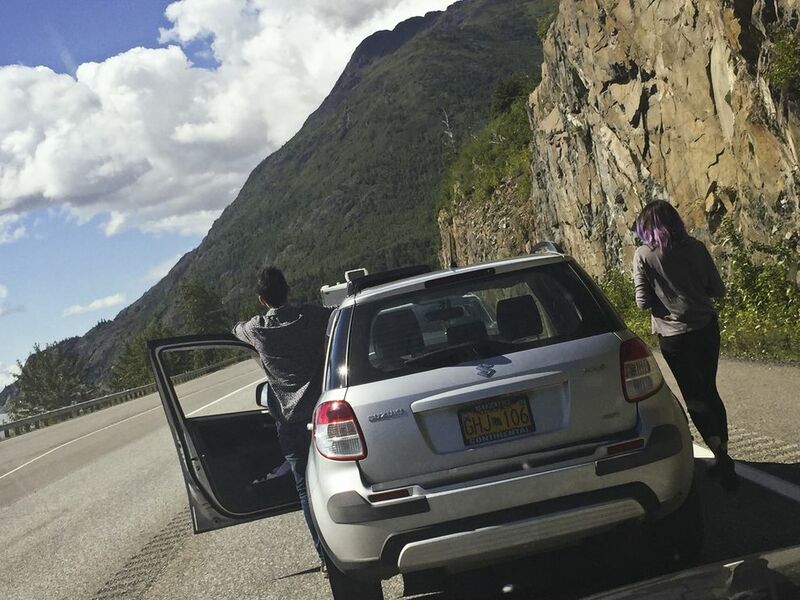 For the last three summer weekends in a row, vehicle collisions on the Seward Highway south of Anchorage have led to road closures and drivers stuck for hours in scenic, interminable Turnagain Arm traffic purgatory. The most recent, on Sunday afternoon, involved two trucks, an SUV and a boat trailer at a narrow and treacherous spot at Mile 109, just south of McHugh Creek. 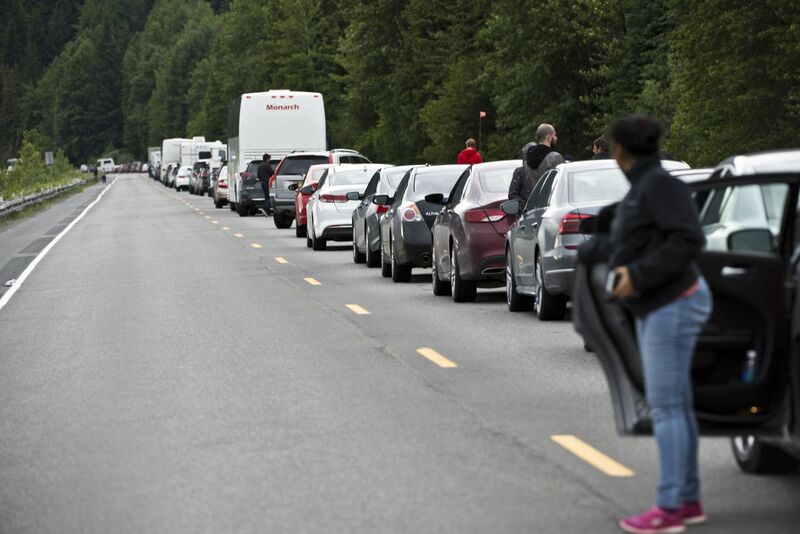 The two-lane highway was fully or partially closed for some seven hours total, according to the Anchorage Police Department's traffic investigation unit — just as thousands of people were returning from the Girdwood Forest Fair and other weekend activities. Meanwhile, traffic on the only road going south of Anchorage is about to hit its yearly peak as Kenai Peninsula fishing season reaches full frenzy. Who is responsible for patrolling and responding to crashes on the highway from south of Anchorage to Girdwood? That depends. Right now, city police patrol from Potter Marsh to McHugh Creek. Anything south of that, "the troopers will get the call first," said Sgt. Rick Steiding, head of APD's traffic unit. Alaska State Troopers spokesperson Megan Peters wrote in an email that troopers and APD have a "shared responsibility" for the highway from McHugh Creek to Turnagain Pass. She did not respond to a request to elaborate on troopers staffing on the highway. In practice, if an accident happens and troopers are too far away, Anchorage police take the call, Steiding said. 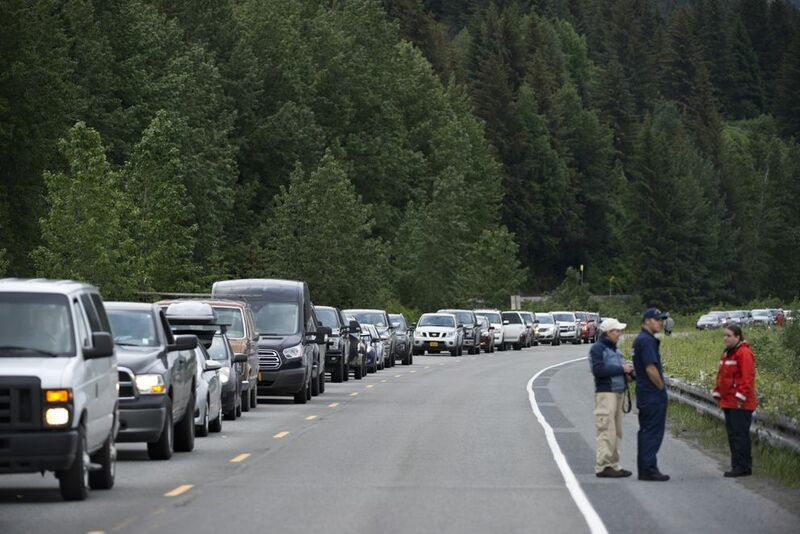 That happened June 30, when a serious wreck occurred at mile 88.5, near Girdwood. APD has a grant to pay for additional patrolling further down Turnagain Arm, Steiding said. During the week of the Fourth of July holiday, APD used some of the money to pay overtime for officers to patrol more of the highway. Is this summer unusual in the number or severity of crashes and length of delays? Both the Alaska Department of Transportation and APD say crashes leading to a highway shutdown happen every summer, but there's not a simple way to track the frequency or length of road closures due to accidents. Despite the three consecutive weekends of highway traffic jams, this summer doesn't seem far beyond the norm, said DOT spokesperson Shannon McCarthy. "I don't think it's unusual," she said. Steiding, the traffic unit sergeant, thinks people are just more aware when mayhem happens on the highway. Nixle alerts combined with social media spread awareness of traffic standstills far past the people stuck in them, he said. 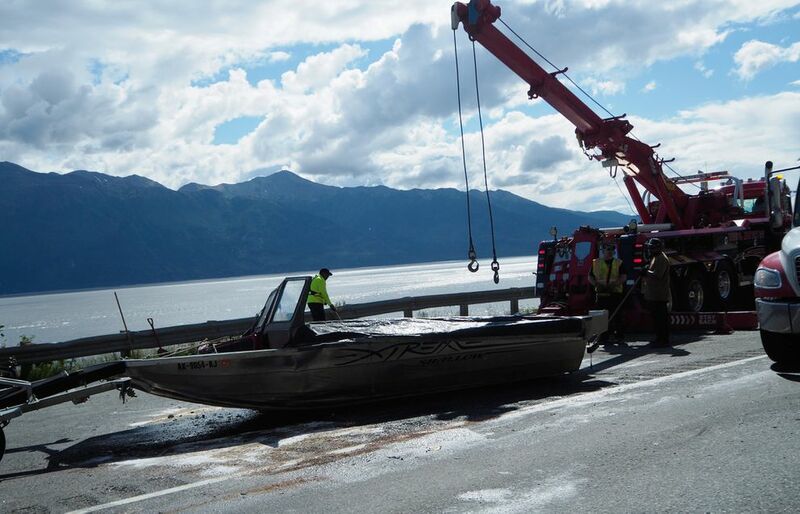 The only fatal accident on the highway north of Turnagain Pass this year happened on March 6 — a 27-year-old Nikiski man was killed when his pickup truck crossed the centerline, hit a power pole and flipped at Mile 81, near Portage. No one has died as a result of injuries sustained in any of the three crashes that caused major traffic jams in the past month. Chart by the Alaska Department of Transportation of Public Facilities. What has to happen at the scene of a crash before the road can be reopened? Why does it seem to take so long? Serious wrecks on the heavily traveled two-lane highway require emergency responders, medical evacuations, a potential crime scene investigation, the towing of vehicles and removal of debris to happen before traffic can get moving again, said Steiding. Usually, that can be accomplished in a four-hour window, he said. But there are some complicating factors. Every crash with critical injuries is investigated as if it's a homicide — because if a victim or victims die, it may end up being prosecuted as one, he said. In severe crashes an APD unit with special training in accident scene investigation are called to the scene. Just assembling those officers and getting them down to the crash site can take a while, Steiding said. "We have lights and sirens but we still have to deal with the traffic everybody is in to get down there. It's a slow and treacherous trek," he said. Once the investigators are on scene they try to interpret evidence — gouges in the pavement, tire marks — and conduct a laborious process of "diagramming" the crash site. That can take "anywhere from an hour to a couple of hours for a complicated scene," according to Steiding. It's the officers' only shot at collecting evidence that could eventually be used in a court case, he said. Once the scene is reopened, the evidence is tainted. After the investigation is done, commercial tow trucks are called to remove vehicles from the scene. Again, they have to fight the same traffic as everyone else to get there, often inching through a standstill lineup of cars, McCarthy said. "With the roadway as narrow as it is we can't just push it off to the side and try to retrieve it later," Steiding said. "The road just isn't wide enough for it." Debris must also be removed — glass swept up, absorbent pads placed to dry up fluids. Usually the towing company does that. Is there any hope that closures will get shorter? Yes. This week, APD just got some new technology that could dramatically cut the time it takes to conduct a major traffic collision investigation, Steiding said. A new 3-D scanner will make the labor-intensive and painstaking accident scene diagramming process much quicker, cutting the time by up to two-thirds. "That's pretty drastic when you're the person sitting in traffic," he said. Are more people using the highway? Yes. 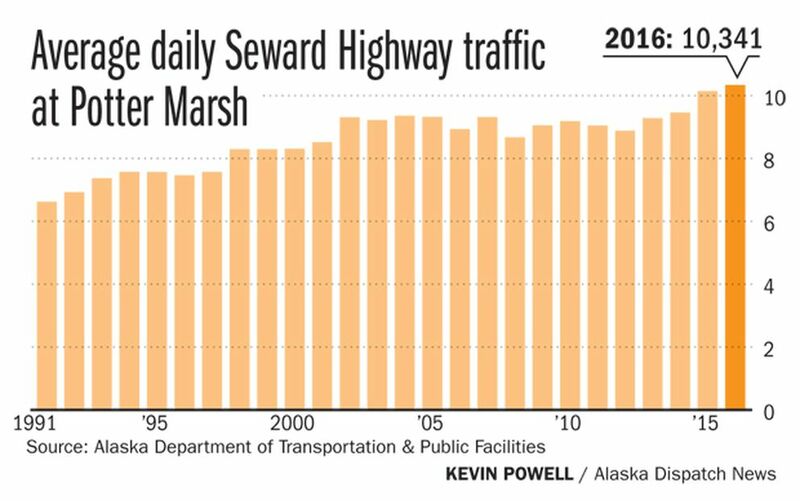 Average daily traffic counts at DOT's Potter Marsh counting station have been steadily rising since 1991, said McCarthy. Last year, 10,341 vehicles traveled the road on average each day. Usage of the highway is heavily seasonal. It bottoms out in January, with a count in the 5,000 range and consistently peaks in July, coinciding with the height of fishing season on the Peninsula. On July weekends, more than 22,000 motorists per day have been counted on the road by DOT at Potter Marsh. Where and when are accidents most likely to happen? Major accidents have happened up and down the corridor, but some places like the Windy Corner area, between Miles 105-107, have a "historically high crash rate." A major project to improve the road at Windy Corner is in the environmental permitting stage, DOT said. Summer weekends are both the time of heaviest highway use and when the most accidents happen. DOT research shows that accidents on weekends, by a 2 to 1 ratio, involve a northbound driver returning to Anchorage. Sundays are worst, said McCarthy. "What we find when we analyze all the major crashes, it's almost always caused by an Anchorage-bound driver on Sunday afternoons," she said. 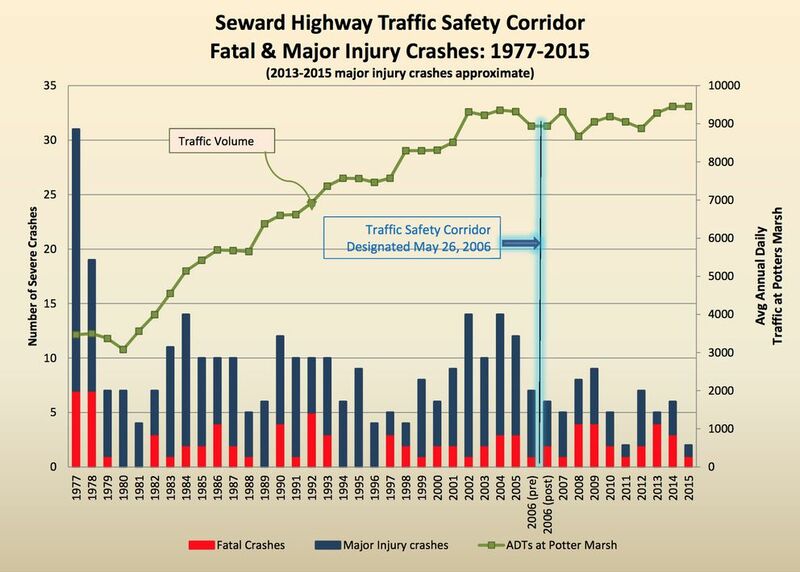 Between 2007-2015, most fatal accidents on the Seward were head-on collisions, the research found. If head-on collisions are such a big problem, why doesn't DOT put up a barrier between the lanes? It would be impractical and could actually lead to longer delays when collisions do happen, said McCarthy. A barrier "takes out about 6 feet of roadway," on an already narrow highway hemmed in by mountains and seawater. It would also make it even harder to get emergency vehicles and tow trucks to clear a disabled vehicle. "Imagine troopers can't get in, ambulance can't get in. We would anticipate even longer closures if we had a divided highway," she added. McCarthy has a few parting words for drivers as they head south from Anchorage: Chill out, and allow for extra time. "When you go from 5,000 cars a day to 20,000 it's a wide mixture of drivers. A lot of Alaskans know how long it takes to get from Anchorage to Kenai," McCarthy said. "It's different in July. Plan for more time."